Milton indoor rock climbing gym is having its 2nd annual Milton Meltdown Competition. This event takes place on Saturday Feb 18 and will cost $35 to register. Registration starts at 11 a.m. and the climbing begins at noon and goes until 4 p.m. The finals of the competition will take place at 5 p.m. The different categories for males and females are beginner, intermediate, advance and open. A cash prize is offered to the winner of the open category. It doesn’t matter whether you are a first time climber or a world-renowned climber. Whether it is to get strong, train for a trip, celebrate a birthday party, build a corporate team or to come in out from the rain, Milton Rock Gym can guide you to a vertical adventure. 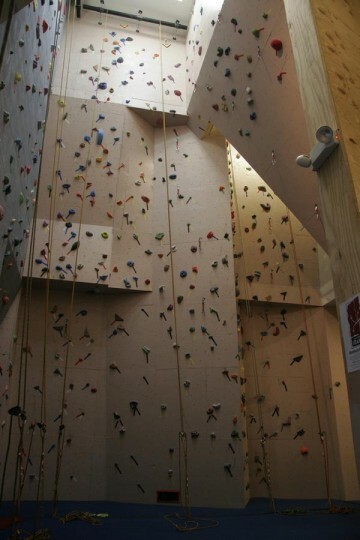 As a full service indoor climbing gym, MRG provides different kinds of climbing to challenge your mind and body. They offer bouldering and top roping. All climbers must sign a waiver before participating. A parent or legal guardian must sign a MRG waiver for climbers under the age of 18. Where is it located? The MRG is located at 45 S. Front Street in Milton, Pa., only five minutes from Rt. I-80. Their location is across from public parking on Elm Street and next to M & T Bank.